Spyder or Spider is an Italian term for a convertible car body style. The term derives from horse-drawn carriages, as do other automotive terms. A spider phaeton was a lighter version of a phaeton, having narrower, spindly wheels and two-seat accommodation. This term was subsequently applied to cars. The first car to be officially called a "spyder" was the Ferrari Spyder — the name implied an extremely rudimentary top mechanism. Other later spyders include the Fiat 850, numerous Ferraris, Maseratis, the Lamborghini, and the Alfa Romeo Spider. In more recent times, the term has been used by many automakers as a synonym for convertible. 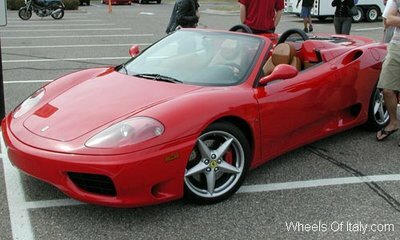 Examples include the Alfa Romeo Brea, Lamborghini Gallardo, and the Ferrari 360.